We produce stunning yet simple eCommerce and static websites that capture the imagination of the user, and the attention of the search engines. In simple terms, our sites are both client and SEO friendly - the perfect business strategy combination. If there is one thing that is certain, it is that simple, clear and effective imagery and branding will get you noticed online above all else. For this reason it is vital that your website is professionally designed, and above all that it appeals to your prospects. 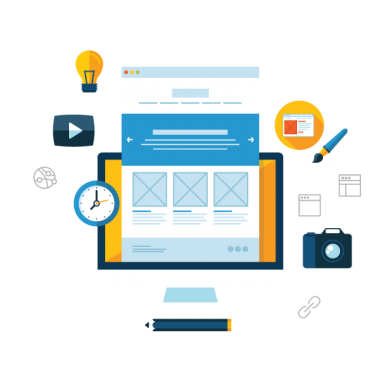 There are numerous companies offering web design services, and frankly, with the many excellent content management systems available today, the ability to build a website is not a skill only a few possess. You only have to type “web design services” into your browser and thousands of companies and individuals will come up providing this service. Create a site that is not only eye catching but immediately appealing to your visitors? Can they engage the visitor and encourage him to share your content? Can they create a design that is exactly right for your individual business? And most important of all, can they convert your visitors into buyers? Ultimately, what you need is a website design that will help you achieve the goal of the site, whether it is more sales, more leads, more email subscribers, or a mix of these objectives. With many years of experience under our belts, we have the knowledge to design you a site that is user-friendly, responsive (so it looks good on all devices) and displays your products and services in a clear fashion so your visitors are able to easily perform the action you desire. Over the last 10 years, we have made literally hundreds of web properties in all sorts of business niches ranging from small sites for local beauty therapists to large eCommerce sites for retail companies who fulfill thousands of transactions per month. No matter what the sector, our top priority is that the site will appeal to, and be intuitive for the targeted audience, so each of our clients and their customers has a positive experience. You literally have only seconds to make an impact and encourage a user to navigate through your website. Only effective clear understanding of how we perceive and portray your message will invoke client interaction. Using clear concise and compelling graphics combined with noticeable calls to action ensures we keep the client engaged and encourage them to proceed through the sales process. Firstly, you need to make contact by filling out our contact form. Once we have returned your message and discussed the strategy and aims of a site to increase sales of your products and services, we then produce beta versions of a site template for you to look at. You will be assigned a designer dedicated to your project – we do not pass you from one staff member to another. Once you approve the beta template, your designer will edit the draft version to produce a finished product that is both impressive and effective, yet still retains simplicity to ensure visitors with the demographics of your target audience can navigate and find their way around your site with a minimum of effort. We are accustomed to designing, branding and promoting a client’s products and services through static websites as well as dynamic online eCommerce platforms such as Magento and Zencart. So what are you waiting for? Contact us today and we will be in touch shortly with further information on how we can develop your brand and quickly build your business online.